The OSEP website provides multiple resources to support stakeholders as they engage in different program areas, evaluations, improving accessibility, and undergo the OSEP Peer Review process. To learn more, Select a "Program Area" in the toolbar on the right side of the page to access the OSEP Program Area pages, which include each program area's performance measures. Much of the support the Office of Special Education Programs (OSEP) provides to stakeholders is accomplished through the work of grantees that receive funding from OSEP to focus on various priorities. Resources linked from this page are designed to help grantees accomplish their work. The Office of Special Education Programs (OSEP) at the U.S. Department of Education, is pleased to present OSEP Ideas That Work Collaboration Spaces to support grantees in collaborating with one another and seeking input from stakeholders. These collaboration spaces allow its members to work together to improve results for infants, toddlers, children and youth with disabilities. They have been designed to give stakeholders a place to work together to solve complicated issues, facilitate informal knowledge sharing, exchange thoughts and ideas, and share resources, while also providing a place for collaborative creation of new knowledge. By linking to the following page you will be entering an external website. The U.S. Department of Education Office of Special Education Programs (OSEP) is not responsible for the site’s content. Access the collaboration webpage: OSEP Ideas That Work Collaboration Spaces. As a blueprint for authentic engagement, Leading by Convening, developed by the IDEA Partnership, provides leaders with hands on tools to engage stakeholders and maximize collaboration. Access the complete guide: Leading by Convening: A Blueprint for Authentic Engagement. This section contains user briefs for stakeholders interested in implementing and sustaining collaboration efforts and engagement initiatives. 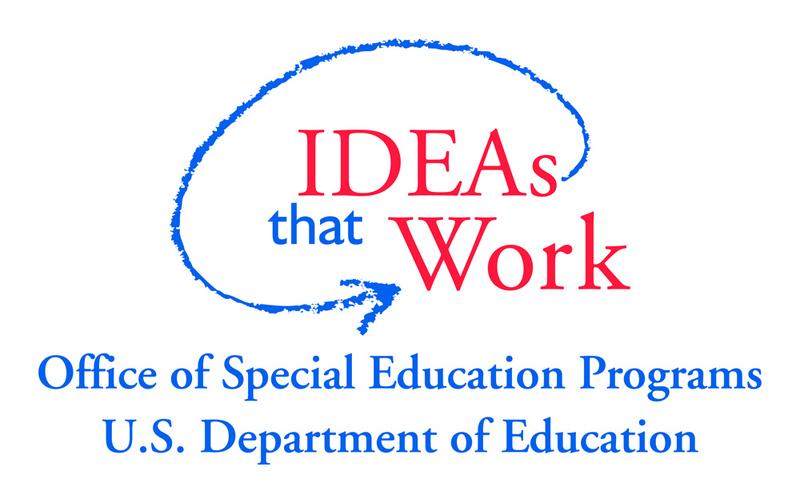 If you would like to use the OSEP (IDEAs that Work logo) on any resources or websites you can download the the logo as a EPS file, JPG file, or PDF file You should contact your project officer for current disclaimer language that can be used in reports, presentations, briefs, or documents.